Fixings & Finishes - Edging Tapes & Glues. Wide selection of products to compliment our range of timber and sheet materials. 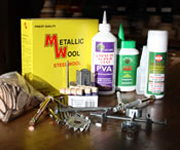 At the Avon Plywood Trade Counter we supply our customers from a very useful selection of items. These have been chosen to compliment our timber and sheet material product ranges. Our range of Fiddes Wood Finishes is very popular for finishing new work or restoration of old furniture and fittings. Blum Pocket Hinges and Blum Bottom Mounted Drawer Runners are the components of choice for many cabinetmakers. We also have a complete range of Pre-Glued Edging Tapes to match both Melamine Faced & Real Wood Veneered sheet materials from our stock. In addition, as we operate a Hotmelt Edge Banding Machine, there is a selection of unglued edging tape available in Melamine, Wood Veneer, PVC and ABS. From Drawer Runners to Cabinet Hinges and from Wax Oil To Shellac based Polishes we have it covered.